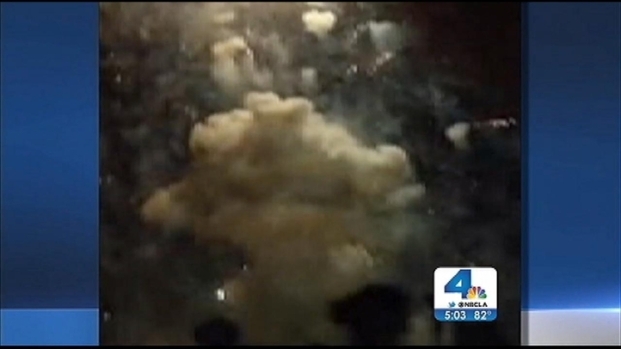 Gary Markowitz sent NBC4 this image of a fireworks explosion July 4, 2013 in Simi Valley. The show had proper permits and the display was properly designed and set up, according to the report. Investigators determined the was not a pattern of problems with the type shell, known as a "double bubble." 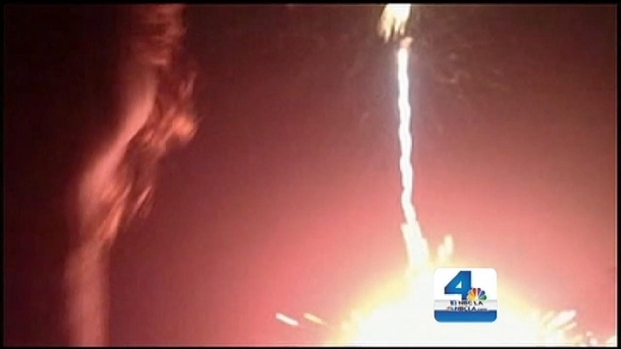 Victims of the Simi Valley fireworks mishap are still in shock Friday. At least 41 people were injured, and some residents say they won’t return next year following this year’s scary ordeal. Reggie Kumar reports from Simi Valley for the NBC4 News at 5 p.m. on July 5, 2013. "All of the information we have on this incident indicates that there was simply a tragic malfunction that resulted in the explosions," said Ventura County Fire Chief Mark Lorenzen. "The display was properly designed and set up. That being said, our responsibility is to do everything we can to ensure the safety of the people of Ventura County. As a result, we will be reviewing the state fireworks polices to see if additional local measures might be warranted." A representative of Bay Fireworks said the company will no longer use the type of shell that malfunctioned and increase the minimum distance between specatators and the launch area. Most of the victims injured in the blast at Rancho Santa Susana Community Park were treated at a hospital and released. 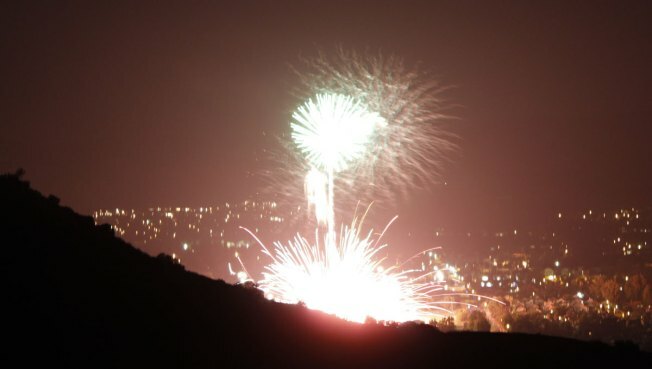 An apparent industrial accident in Simi Valley caused fireworks to shoot toward a Fourth of July crowd. Some 41 people were injured, with the youngest victim just 17 months old. Beverly White reports from Simi Valley for NBC4 News at 11 p.m. on Friday, July 5, 2013.